Backyard Picnic Tips for Boulder-Broomfield Seniors and the Whole Family | BrightStar Care " "
A picnic can be a fun summer activity the Boulder-Broomfield senior and their whole family can enjoy together, but there are some special considerations to keep in mind when Boulder-Broomfield senior family members will be part of your get together. Luckily, planning a picnic right in your own backyard can simplify things without compromising the fun. Read on for easy picnic ideas that will create lasting memories for Grandma, Grandpa, your children, and you. The beauty of hosting a picnic in your backyard is that you can control a variety of factors. Choose a shaded spot on even terrain to protect your Boulder-Broomfield senior parent from overheating or falling. You’ll also want easy access to the backdoor for bathroom trips and in the event the weather suddenly turns. Of course, if your parent has a condition that makes picnicking outside too difficult, you can always plan a picnic indoors, or simply take them for a picturesque car ride. In addition to looking for a spot with even terrain, you’ll also want to think about what sort of seating will provide most comfort to your Boulder-Broomfield senior parent. 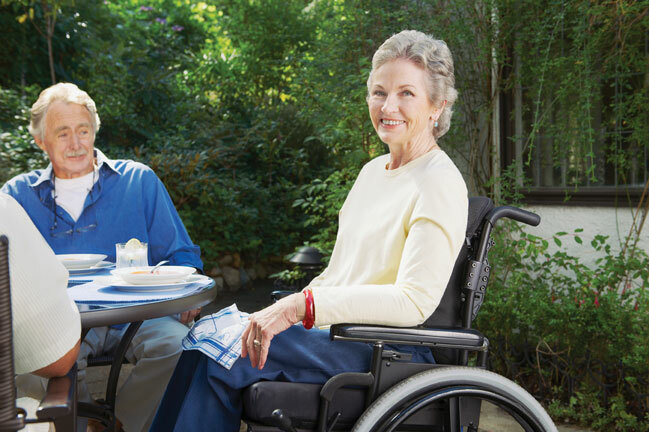 In most cases, a table is preferable to eating on the ground as getting up and down can pose a challenge to seniors with limited mobility. A camping or card table is easy to transport in and out of doors and hits at a good height for seniors in wheelchairs. We recommend chairs with backs over benches. When cooking food for your picnic, remember that the focus of the day is on spending quality time together—you, your Boulder-Broomfield senior parent, your kids, and other extended family. Choose simple, healthy foods; you don’t need to plan a gourmet meal. If your parent has difficulty chewing, take corn off the cob and meat off the bone, but do this in the kitchen rather than out in front of guests, which might embarrass your parent. Chunks of watermelon make a sweet treat to cap the meal. Finally, keep water glasses full as seniors are more vulnerable to heat stroke and exhaustion. Soft background music creates a relaxing atmosphere. You might find some of your Boulder-Broomfield senior parent’s favorite music online for a personal touch. If you don’t have a portable speaker, simply putting your smart phone in a bowl will help amplify its sound. A deck of cards and games of Go Fish or Rummy help pass the time, but sometimes the best fun is unplanned, like simply letting grandparents engage with their grandkids by telling stories or describing the shapes in passing clouds. Don’t stress yourself out trying to plan the perfect day. Keeping things simple will allow you to enjoy yourself, too.